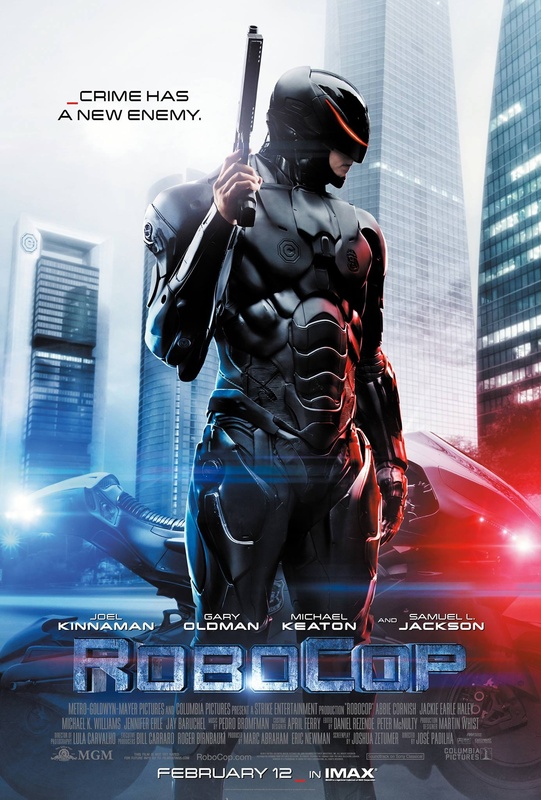 Synopsis: RoboCop is a robot, but, in addition to being a robot, he is also a cop. As a cop, RoboCop is the best cop, because in addition to being a cop, he is also a robot. Gary Oldman does some of his best “sensitive, good guy” Gary Oldman work here. Well, he’s basically Jim Gordon as a scientist. Look, Gary Oldman does one thing and does it well these days. There’s a scene where they show what’s left of Murphy and it’s pretty fantastic. Joel Kinnaman is as bland as a piece of wheat toast slowly going into Kristen Stewart’s gaping mouth. The black costume isn’t nearly as cool-looking at the silver costume. The costume as a whole is just too sleek, for lack of a better word. It doesn’t seem robotic at all like the original RoboCop. It doesn’t have that kind of weight to it. It just seems like Murphy is wearing body armor. I really didn’t understand the point of Samuel L. Jackson’s character at all. He was basically just there to serve up a lot of unnecessary exposition. And to give his character the closing comments of the film seemed like an odd choice. It felt as if they filmed his scenes in an afternoon. 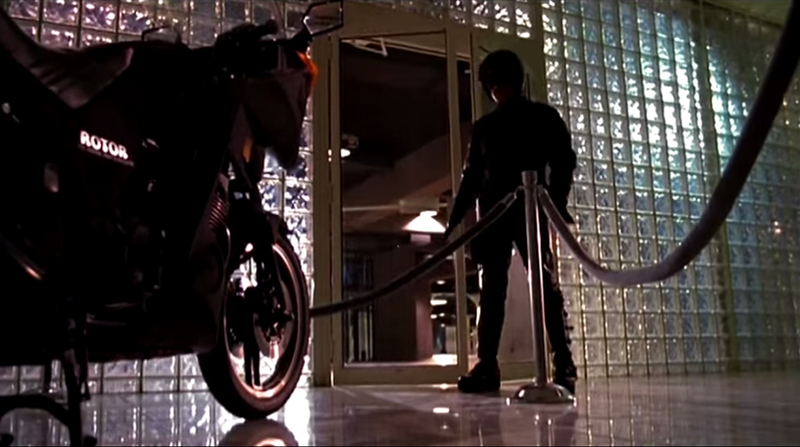 RoboCop has his own robot police officer motorcycle. Hmmm, wonder where they stole that one from? Overall: Surprisingly not as awful as I was expecting. It’s pretty watchable, but not memorable. Gone are the extreme violence and crude humor that made the original so great. This remake is pure special-effects action. The one major departure from the original is the involvement of Murphy’s wife and son. In the original they just thought he was dead and moved on with their lives. In this, they’re around and concerned about his humanity. But Murphy’s struggle with his past life it’s not nearly as effective here as it was in the original… just like everything else about the movie. Still, not a complete waste of time, but you’re much better off watching the original or a 3-day marathon of R.O.T.O.R. Actually this movie answers the age-old question if RoboCop still has a dong. The answer is a resounding no. I wonder what they did with it? Good review. A better remake than I expected, which sounds like crappy praise, but honestly means something. At least in my book, anyway. Seems to be the consensus, but you put some good argument into it. And an interesting take on the suit/armor, as well. I personally think that was one thing that really rocked but I understand where you are coming from on that. Yeah it just seemed like he was wearing a suit instead of it being his body. Same goes for Jackie Earle Haley. Like every morning when you look in the mirror. Good round up. Watchable is definitely a good description. Probably the best praise you can give it. You really have no right to discuss the film world. “Joel Kinnaman is as bland as a piece of wheat toast slowly going into Kristen Stewart’s gaping mouth.” HA. I find myself agreeing with most of your negatives – I was very disappointed in the film to be honest. A good support cast couldn’t save the bland lead. He came off as bland even though he was supposed to be mostly robot.